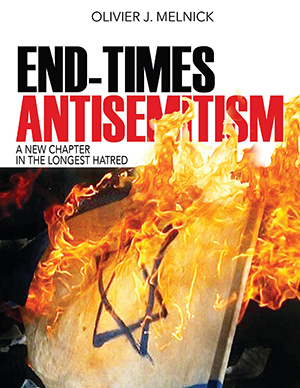 All Christians Are Anti-Semites! Right? You are here: Home / Antisemitism / All Christians Are Anti-Semites! Right? About three weeks ago, I wrote a commentary following a new request made by some Christian leaders and lead by the Presbyterian denomination, asking the US congress to investigate how Israel is using funds and possibly “violating human rights”. In it, I exposed the double-standard used by Presbyterian USA in falsely pointing the finger at Israel. But far worse was done by completely ignoring some real human rights issues such as the $450 million given to Egypt’s leadership while they clearly are tied to the Muslim Brotherhood. Egypt’s president Mohammed Mursi has since then showed his true colors as he responded “amen” to an Egyptian cleric’s prayer to destroy Israel. That’s worth 450 million of our American dollars, right? To be sure, the letter sent to congress wasn’t only signed by Presbyterian leaders. Some Lutherans, Methodists, Baptists, Mennonites and members of the Church of Christ were quick to join the ranks of the Presbyterian USA denomination and became co-signers. It goes without saying that the statement they made garnered much criticism from the Jewish community. While the JCPA doesn’t equate the signers of the “Christian” letter with all Christians, they have no choice but to draw some conclusions of their own based on the anti-Zionist diatribes they continue to receive. I wouldn’t be surprised if the JCPA was pondering upon this recent display of anti-Israel sentiment and start believing that all Christians are anti-Semites. • Damaging for Israel in general: An attempt at diverting funds away from Israel is always going to be detrimental to the only democracy of the middle east and the only ally to America from that region. When considering that the funds were earmarked for Israel’s armament and thus, defense against her neighboring enemies, it is not only damaging but it is also criminal. The accusation that Israel might have violated the U.S. Foreign Assistance Act and/or the U.S. Arms Export Control Act is simply unfounded and libelous. • Damaging for worldwide Jews in particular”: In the last 15 years or so, we have seen a preponderance of violent acts against Jewish people around the globe, regardless of their upbringing, level of religiosity or even geographical locations, simply because of the world’s assumption than anything tied to Israel is automatically tied to all Jews. If Israel is perceived as guilty by anyone, then they must be guilty AND by proxy, all Jews are equally responsible. So there is no question in my mind that this “perceived” Israel’s violation of human rights by some Christian denominations will spill over the worldwide Jewish community. Facts simply don’t matter any more! • Damaging for all Christians”: The mere fact that several Christian denominations have joined the ranks of the Presbyterian USA Church DOES NOT mean that all Christians are anti-Israel or anti-Semitic. It actually doesn’t even mean that all Presbyterians, Lutherans, Methodists, Baptists, Mennonites and/or members of the Church of Christ are anti-Semitic. This being said, enough damage has been done against my people in the name of “Christ” and “Christianity” over the last 2,000 years, that we certainly do not need any further anti-Israel, anti-Zionist or anti-Semitic rhetoric (I am not even convinced that we can truly separate the three anyway). As a result of a history written with blood and tears, it is unfortunately in the fabric of my people not to trust “Christians”. Followers of Yeshua of Nazareth have to work very hard to establish trust between them and their Jewish friends. Yet, followers of Yeshua need also to be followers of His written Word in which we learn that God has a special plan for Israel (Jeremiah 29:11), loves the Jewish people unconditionally (Zechariah 2:8) and will repay all people in kind based on their treatment of the Jewish people (Genesis 12:1-3). So, not all Christians are anti-Semites but many anti-Semites are claiming to be Christians, or at least so appear to be in the eyes of my Jewish people. I am Jewish and I have followed Yeshua of Nazareth for the last 29 years, yet I hesitate in calling myself a Christian because of the stigma that is now attached to the term. This by no means invalidates the need for all people including ALL JEWISH PEOPLE to trust Yeshua for their salvation. Unfortunately, the reputation of all Christians just got a little worse because of a few and their anti-Semitic agenda. Excellent post. It is true that not all Christians are anti-Semites but many anti-Semites are claiming to be Christians… Those who stand in truth and in love with Israel need to speak up !